Tue., March 13, 2018, 4:58 p.m.
Blaze Pizza is celebrating March 14 by offering $3.14 whole pizzas all day. Blaze specializes in $8 personal pizzas with thin, crispy crusts. Customers get to create their own combinations. Pizzas are fired and ready to eat in about 180 seconds. 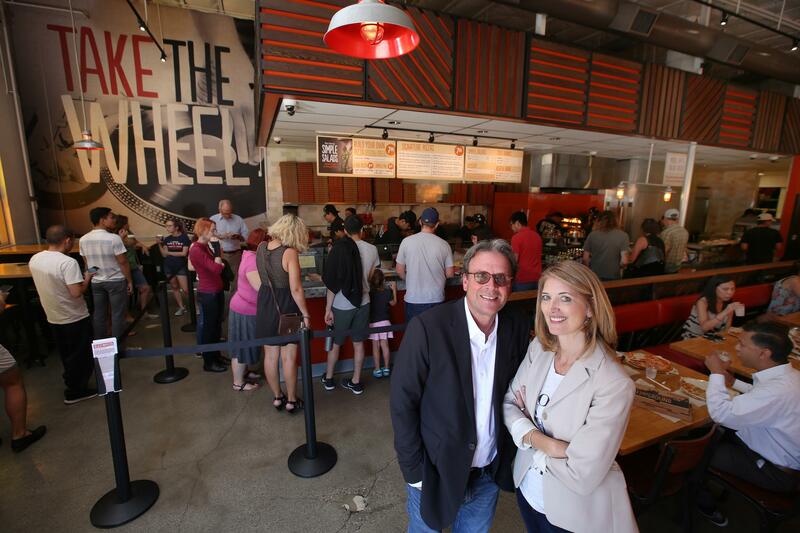 Founded in Irvine, California, in 2012 by Elise and Rick Wetzel of of Wetzel’s Pretzels, the chain is backed by the private equity firm Brentwood Associates. Founding investors include LeBron James, Maria Shriver, movie producer John Davis and Boston Red Sox co-owner Tom Werner. Blaze now has more than 245 locations. The Spokane store is at 926 N. Division St.
For more information, visit www.blazepizza.com or www.facebook.com/blazepizza. Published: March 13, 2018, 4:58 p.m.